Do you know we have an entire Momspiration section on our blog dedicated to supporting, celebrating and featuring moms! Fellow mamas will always be an inspiration to me and I LOVE showcasing these incredible woman who teach, help and motivate me. Especially during the month of May! 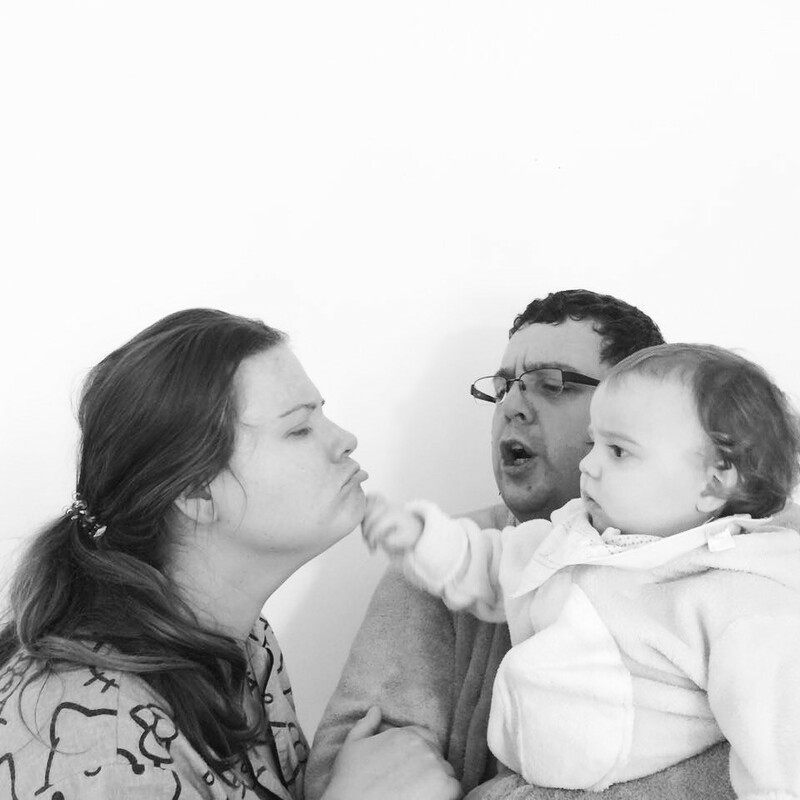 Last year it was all about cool instamoms to follow, the rise of the mompreneur and 4 “real” mamas I just love to bits. 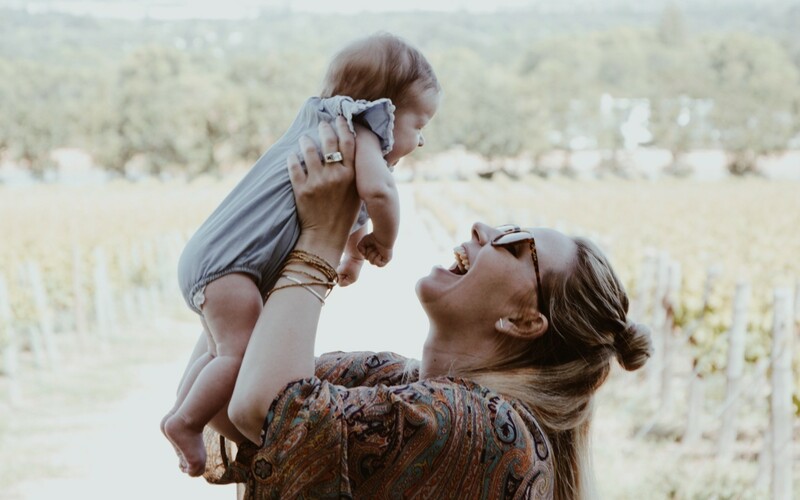 This year I have 3 new posts and 15 new mamas to add… I also decided it would be fun to ask them all the exact same questions regarding motherhood. I learnt a lot from their responses and know you will too. Today I kick-off with 5 fellow #girlmoms I’ve met thanks to social media! These ladies have touched my heart and changes the way I approach #momlife and being a woman. They are very different but share a definite female strength residing inside each of them. A strenght that I know will be passed on to their daughter(s) too. Together we are raising the future #girlbosses of the world, one emotional meltdown with a side of mommy-and-me mani / pedi at a time. My “woman-crush-EVERYDAY”! Together with husband Pete, these two model (but like for real BOSS model) parents are raising their 2 beautiful girls. 3 year old Stevie and almost 5 month old Elia. Sophie is unexpectedly down-to-earth and one of the most hands-on mamas I’ve ever met. The confidence she radiates in everything she does, including her approach to motherhood inspires me to be more fearless everyday! I had a pre-birth massage booked for Stevie’s due date, but she came 3 days earlier. I decided to go anyway, leaving her with Pete and my mum. We were living in London, and I made it one stop on the tube before getting off and going straight back home. I felt so sad and guilty for leaving my baby! I just missed her too much. The best – To trust your instincts. The worst – You’ll spoil your kids or they’ll get used to being held all the time if you hold them a lot – you cannot spoil a child with love! 3. Except for your girls, of course… What’s the best thing or part about being a mom? Knowing that, when I get home from work, there are two people waiting for me who don’t see me as ‘model Sophie Holmes,’ but just as mum. They are happy to see me despite the day I’ve had and the work I’ve done. 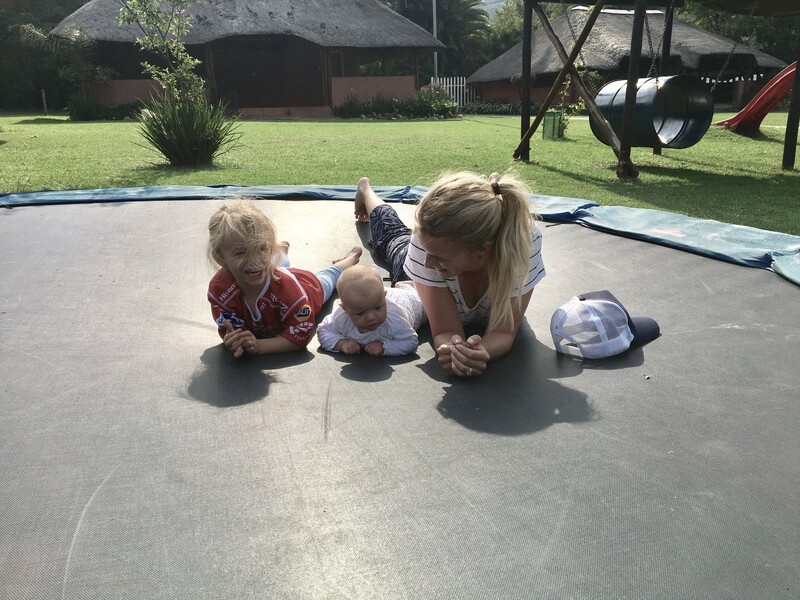 To always keep my kids smiling and content. And maybe to get a full 10 hours of sleep, too! My mum is amazing! I’ve found myself accidentally using so many of her parenting tricks, and it’s really hit home how much she has influenced me growing up! Get to know Sophie and her gorgeous family better on Instagram @imsophieholmes and read her blog Mumming and Modelling too. From modeling to fashion. The next mama and mini duo we adore is Demi and Luna Lucas (2 and a half). Daddy Wayne is definitely one of the luckiest men in the world sharing his life with these two fashionistas! Demi’s passion for shopping and spotting the latest trends has her and Luna looking cover star ready everyday. Demi reminds me how much fun it is to be a woman and a mom. When I was lying on the operating table during my caesarean. I have never been so scared in my entire life, the smell of my own blood burning my nose, feeling the knife cut through my muscles, being completely out of control… Fear overwhelmed me and I wasn’t sure how I was going to get through it. Then I heard Luna’s little scream… Everything disappeared, my pain, my fear, my worries… All I wanted was to hold her, comfort her and make sure she was ok. That moment my life stopped mattering and she became the single most important thing. That moment I became a mom! The worst advice was probably the most common advice most moms follow, but for me it was cruel and unexceptionable. They say you should leave your newborn baby in their cot and let them cry themselves to sleep, no matter how hard they scream or for how long, it only takes one night. I could not do it, this little person who grew inside of me, all she knew was me and all she wanted was me. Now suddenly she had to learn to be outside mommy’s belly, alone, without being comforted or held by her mommy. I don’t believe in too much love, you could never give your child TOO much love! The best advice: Don’t follow any books. Your mommy instincts will tell you what your baby needs. Follow your heart and do what’s best for YOUR baby. 3. 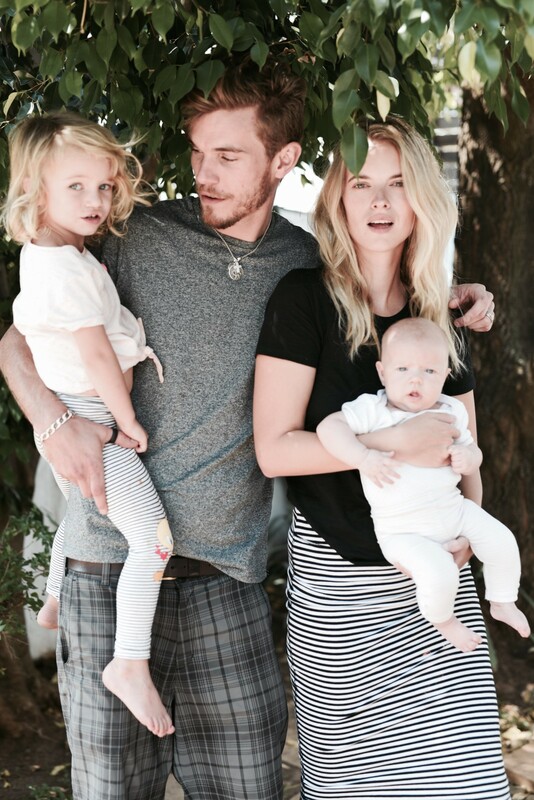 Except for Luna, of course… What’s the best thing or part about being a mom? The best thing about being a mom is the personal growth. Becoming a stronger person, learning to trust yourself, stepping out of your comfort zone, finding out that you could love more than you ever imagined and discovering patience that you thought you didn’t have. To read my little person’s thoughts. There’s nothing worse than having your baby cry and not knowing what’s wrong or having a sad toddler, not knowing why. Or oneday not knowing your teenager is being bullied. Parenthood is tough and you don’t know that until you have your own kid. I definitely appreciate my mother so much more now that I am one myself. There are things I’ve learned from her and make part of my own journey as a mother. There are also things I know as a kid I didn’t like. I’ve learned from that too and will never let Luna feel the same. I won’t be a perfect mother, I’ll make mistakes, but I’ll learn from my mom’s mistakes and hopefully Luna will learn from my mistakes when she becomes a mother. Maybe through the generations we can create the perfect future mom. You can follow Demi on Instagram @demilucasblog and she also shares more about fashion, lifestyle and travel on the Demi Lucas Blog. Sarah, my go-to beauty gal-pal! This mama has made me care about my skin for the 1st time in 32 years. Her love for makeup, skin and hair care makes me want to take better care of myself. (Inside and out). It’s not just beauty, Sarah motivates me to make an effort every single day. Not because “the world says so” but because I deserve it! She is honest, supportive of other woman and caring. Thank you Sarah for showing me that taking care of myself will also help me take better care of my family. 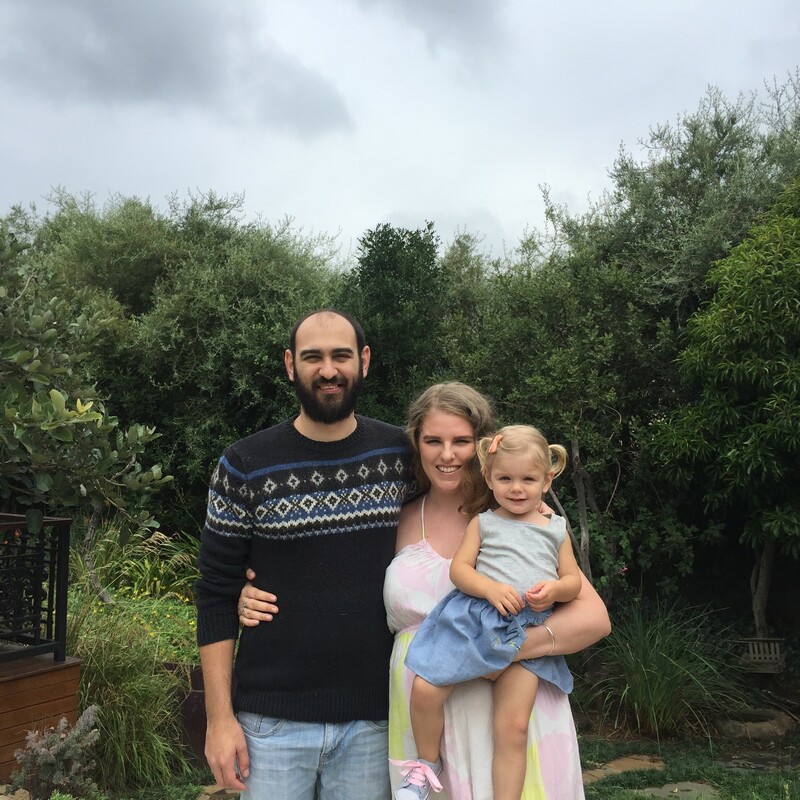 With husband Danie, they are the perfect modern family. Working hard, building a home, while growing a family and working their way to the top. It took a long time to feel like I was Aria’s mom, for a few weeks it felt like I was just babysitting someone’s child. I don’t think that there was a standout moment where I suddenly felt like a mom. It was a gradual progression of falling more and more in love with Aria. 2.What is the best and the worst parenting advice you’ve ever received? The best – To trust your gut. It has proved absolutely invaluable. I don’t remember any terrible advice which I am so grateful for! 3. Except for your Aria, of course… What’s the best thing about being a mom? Watching Dan become a dad has been incredible. Seeing his bond with Aria grow makes my heart pump custard. I often do a lot of my work when Dan get’s home and it’s so wonderful to hear them laugh and play together. I wish that I could know what Aria was feeling, especially now that she’s 2. It’s so difficult for her to express her emotions and I often worry that I’m not giving her what her little heart needs. How did she do it?! I mean this motherhood gig is challenging at the best of times, and my mom made it look effortless. I realise now how much she actually did, and it makes me appreciate her so much more. Get your beauty, parenting and lifestyle fix on Sarah awesome blog Mascara & Mimosas and follow her on Instagram @mascara_and_mimosas. I have never met Chantelle, yet I feel like I know her. She gets what family life is about, celebrating the small mundane joys, adventuring together and even adopting a rescue puppy or two. 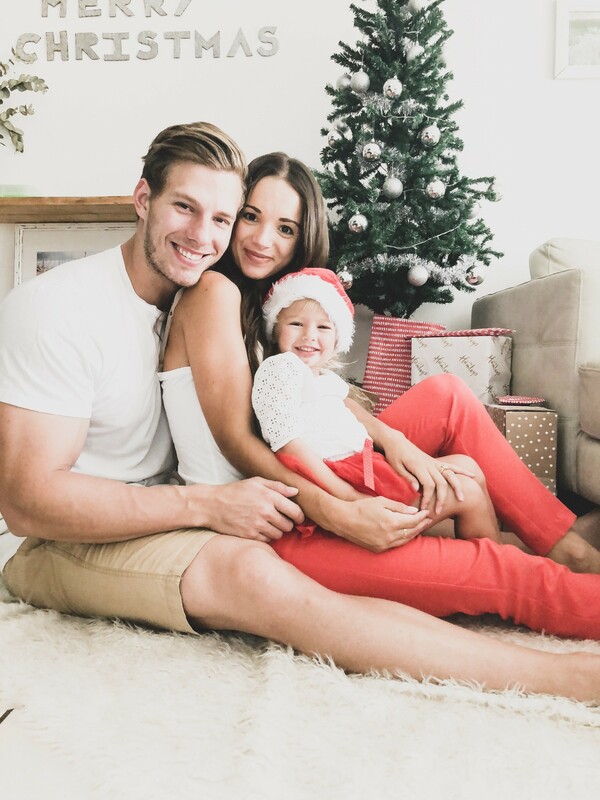 Mama to 3 year old Mila and wife to Terrence, this beautiful lady shares her heart with the world posting about her struggles as a mom, wife and woman as well as depression. 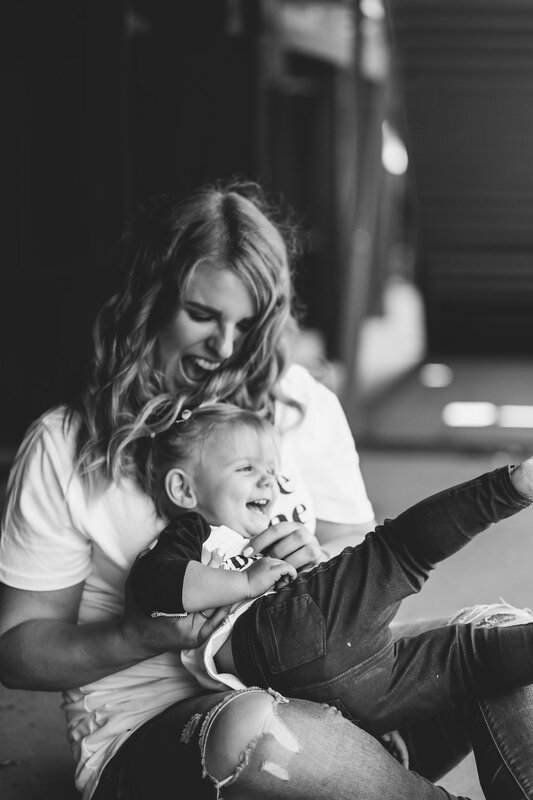 Whether I am laughing with Chantelle, trying to figure out mom life or having a good cry… She always touches my heart giving me the courage to open-up more as well. I think becoming a mother is a pretty surreal experience and I often still, after 3 years, find myself thinking “I am a mum, I made that little human.” There wasn’t a specific moment that I can pinpoint that I felt okay I am a mother now. But there are definite events that spark little neuron fires in your brain that makes you realise you are in this for the long haul. Like coming home with miss M, I was clueless, (as every new mom is). I was going to do it all and conquer the world while I am at it. My husband got some episodes of a series that I could watch and I was all nestled in, then miss M started crying. I remember thinking this is it, this is being a mom. It’s not all bad though… The one week weigh in at the clinic for instance. Miss M gained weight, I was so happy I started crying, ugly happy crying- the baby blues didn’t help. Worst advice – “Sleep when the baby sleeps” How? I was making myself so anxious about the whole sleeping situation that I ended up not sleeping at all. Best advice – “Choose your battles wisely and let some things go.” This has saved my sanity multiple times-especially when negotiating with a feisty three-year old. 3. Except for Mila, of course… What’s the best thing about being a mom? It’s impossible to say what I love most about being a mom. It’s exhausting and you constantly feel the weight and pressure of molding these little beings to be healthy productive members of society. ONE of the things I love most though is being Mila’s soft place to land. The one she turns too. When Mila ask me if we can snuggle for a little bit or the pride she gets in showing us something she has learnt; the bursting joy I feel is like no other high. I also feel like she’s taught me so much about when to be stern and when to give grace. They love without condition because they are loved without condition. My childhood was magical, my mama is a strict woman with a lot of pride but with the gentlest soul. She loves her family and has sacrificed so much for us. She’s a shining star, my rock and my inspiration. If I turn out to be half the woman she is then I think I would’ve done well. Chantelle also has a blog, Dancing with Dreams and you can get a glimpse into their family life – raw, honest and unedited on Instagram @dancing_with_dreams. And the last #girlmama I’ve added to the mix… Alex. 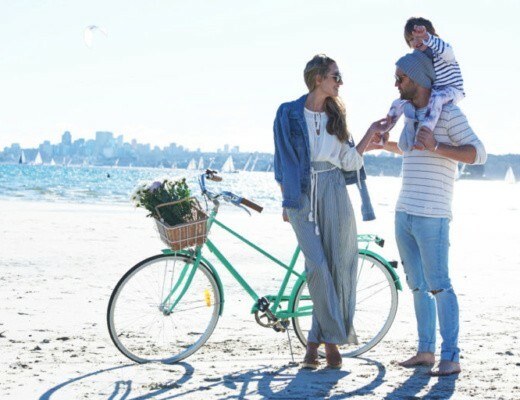 Mama to little, 8 month old baby Bay; I found this free-spirited, ocean-loving family of 3 (daddy Chris too) while scrolling through the Instagram Explore page. At the time both Alex and I were pregnant and although it was the stunning images on her wall that grabbed my attention, it was the heartfelt captions written that made me want to get to know this wonderful soul better. Alex makes me want to stop, slow-down, savour every inch of Eliana, Lia and Ava. Her family inspires mine to live a slower life, closer to nature, more appreciative of what we have and who we are. As we’ve all experienced, when you’re pregnant, that invisible bubble of personal space seems to disappear – all people, be it friends, family or a complete stranger standing behind you in the queue at Woolies – just love to rub your belly. It freaks some women out but I actually quite liked it. I saw it as a little blessing where people were passing on a piece of their energy, some good joo-joo for baba. One day however, someone reached out for my belly and I instinctively blocked the person’s arm. I still don’t know what it was but my motherly instinct to protect kicked in. Clearly there was an energy I didn’t want passed onto my baby… This was my first “mom moment”. Best – Don’t (unless for medical reasons) wake a sleeping baby. A common one but a very true one, that we have tried to defy but failed dismally time after time. It’s more like don’t even look in the direction of a sleeping baby though… If she looks uncomfortable in her car seat for example, and you think you can gently reposition her, DON’T! And, to drink a glass of water after each feed. Simply replacing the liquid that left. 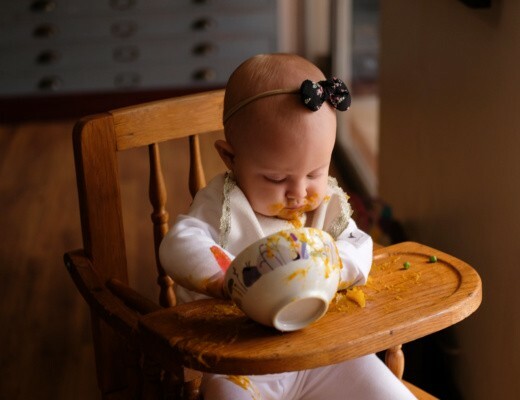 Worst – Dream feeding. I was recommended by a couple moms to dream feed Bay, as it would make her sleep through. Well it did quite the opposite. Instead it took a baby who was sleeping really well and gave her a bad habit. I understand this may have worked well for others and that’s why it was suggested, but in our case it totally backfired and ruined a perfectly good situation. It’s been a battle ever since. Terrible advice. 3. Except for Bay, of course… What’s the best thing about being a mom? Seeing your partner transition into a father. 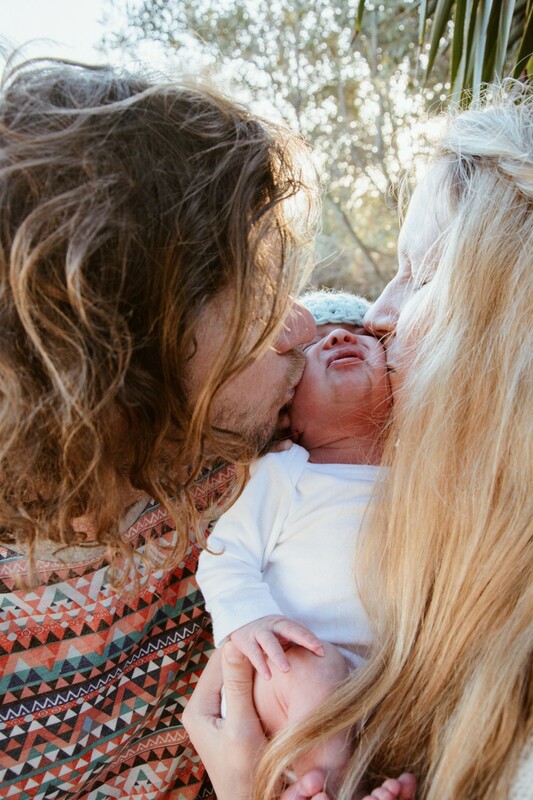 What an incredible thing to witness and to explore this new adventure of parenthood together, with this specific little human you both created. I can sit and watch those two together for ages. Seriously, something similar to that of Quicksilver from X-men, super speed. Not only could you get the mundane household work done but you could then also have complete relaxed time with your kid. You could stop potential accidents from happening AND live in a moment, freeze time. Now what mom doesn’t wish she could freeze a moment of complete bliss with their baba? Like when your baby puts their head on your shoulder to rest for that brief second… My heart explodes just thinking of it. I could live in that moment forever. I’ve always known she was a legend mom. She went against the grain of her time and mothered with her instincts and not with what books, professionals or her friends told her was the “right” thing to do (most of which were spot on with today’s research). As teenagers she let us explore our own identities by taking a step back and letting us learn our own lessons. We talk about it now, how hard that was for her to just trust she’d instilled a good moral compass and hope we made responsible decisions. I hope I can be even half the mother mine was to me. To have the strength, determination, wisdom and patience my mom had with my sister and I, even still to this day. Raising two kids with no father for the most part, is a life challenge I don’t think anyone tackles on purpose. Still she did it with such grace and respect for his memory. I don’t think the mothering ever ends! Get inspired too by following Alex on Instagram @alex.serafini. #girlmoms, #boymoms or maybe you have both… Why not play a long and answer one of the questions above. Share the “supermom” power you desire to possess or the best advice you’ve ever received! Any guesses which group of moms we’ll be featuring next Monday? 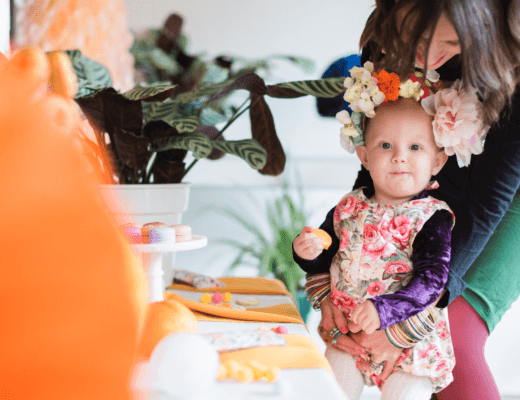 Ava’s Frida Kahlo inspired 1st birthday fiesta! WOW!! This was beautiful – such gorgeous mamas and so many special mama moments!